Sculpture Size: 6 X 9.5 X 5.5 in. Adorable little green frog is hiding out in his forest of mushrooms. 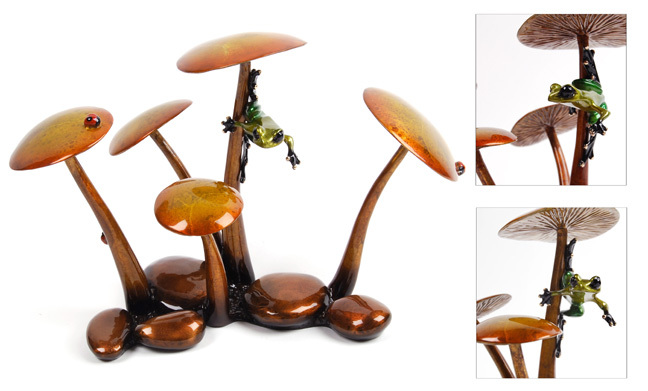 Great accent piece for your collection has extra lady bugs to pose your other frogs with. Innovative and beautiful collectible artwork from the Frogman.